MONTGOMERY COUNTY — Two people died in an accident just before 4p.m. Sunday in Montgomery County. 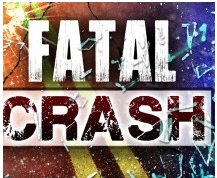 The Kansas Highway Patrol reported a 1999 Chevy Silverado driven by Derek Scott Messner, 44, Coffeyville, was east bound on U.S. 166 three miles west of Coffeyvile. The Silverado went left of center and struck a 2009 Dodge Ram pickup driven by Garry Gene Bush Jr., 57, Caney, head-on. Messner and Bush were pronounced dead at the scene. A passenger in the Dodge Jana Gay Bush, 55, Caney, was transported to Mercy Hospital. The occupants of the Dodge were properly restrained at the time of the accident, according to the KHP. Details on Messner’s seat belt usage are not available.